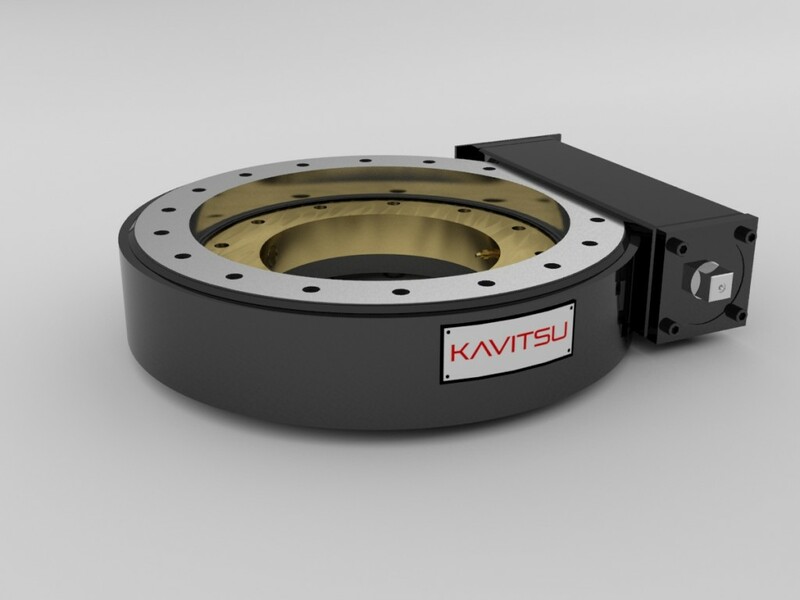 Slew drive from Kavitsu is an advanced version of the conventional worm and worm wheel technology. This assembly incorporates a worm shaft along with a slew ring bearing which give almost friction less working. 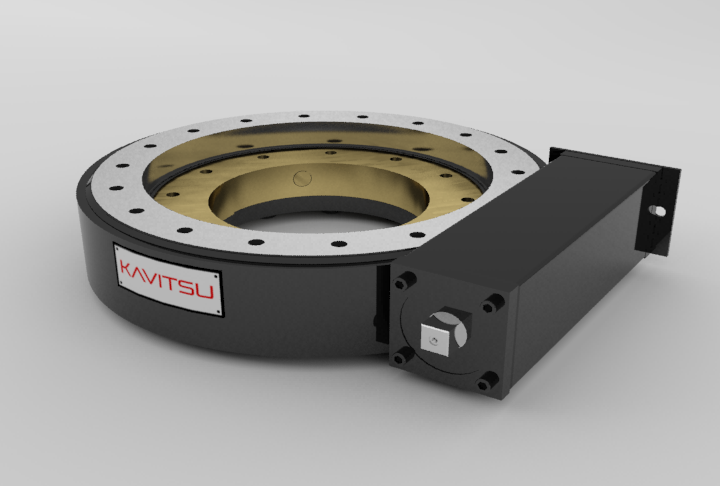 Such types of Slew drive are perfect for applications that require both load holding and rotational torque from the same gear box. The drives come with an hourglass worm technology, which increase the efficiency of the drives. The difference between normal and hourglass technology is that, in a conventional worm gearing system, only one tooth of the gear is in contact with the worm shaft, whereas in our systems, it can go up to 6 gears in contact. The slew drive comes in two types: single row ball and double row ball. These are selected depending on the load coming on the drive. Higher loads generally need double row slew bearing. The drives come with an IP65 rated protection system, which protects the drive from environmental conditions as well as dirt, sand, dust and even water. The drive is designed in such a way that huge loads can be carried in spite of the compact form factor. The gears used in the assembly are hardened and ground, so that they provide maximum durability and longer life.